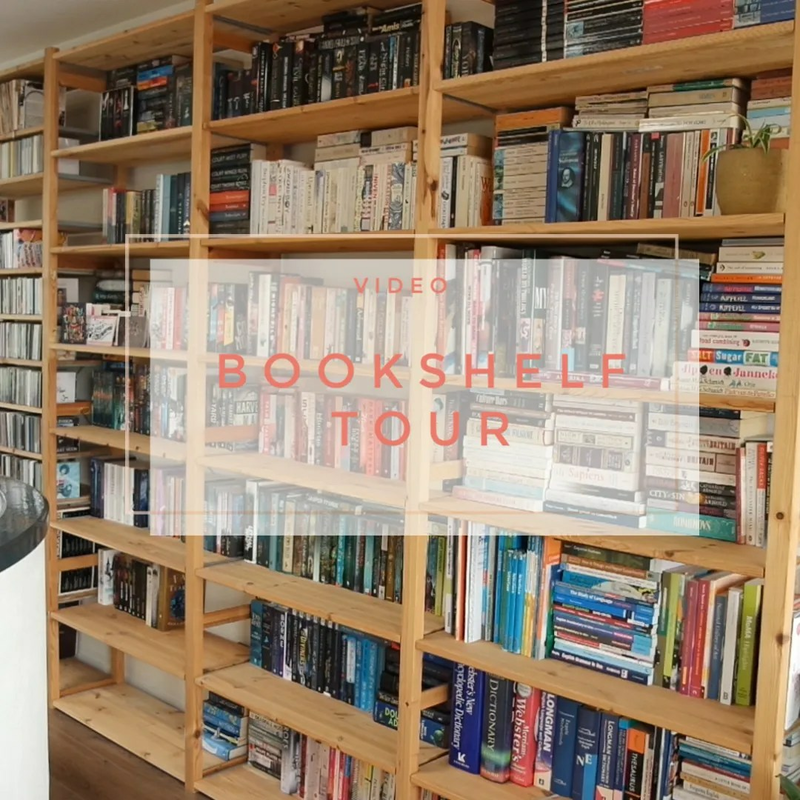 I already asked it on my socials weeks ago and today it is finally here: my Bookshelf Tour. You can see these shelves in the background of so many of my videos, so I have been getting tons of requests for doing a bookshelf tour. Today we’re doing it! What do you think of my bookshelves? What do you keep on yours? I tought that I had many books….. I know! I have quite some, but having studied English about 1/3 is from my student days.